Our degrees and programs are flexible, interdisciplinary, and problem-oriented. Our undergraduate programs in sustainability introduce students to the problems of sustainability. Understand the concepts and methods of different academic disciplines and the way in which these can address sustainability challenges. Develop sustainable institutions for water, land, air, and urban management at the local to global level. 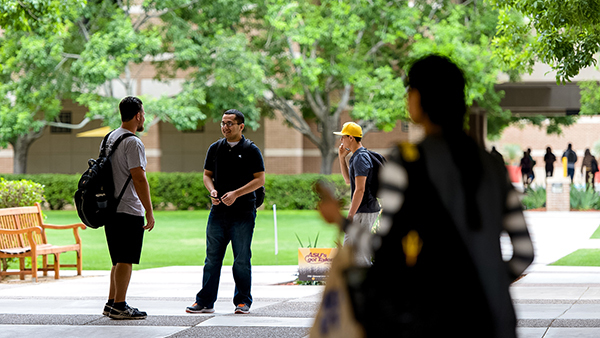 If you are currently an ASU student and considering switching majors to Sustainability, you can schedule an appointment with our academic advisor. Schedule an appointment below or email sosadvising@asu.edu for more information.